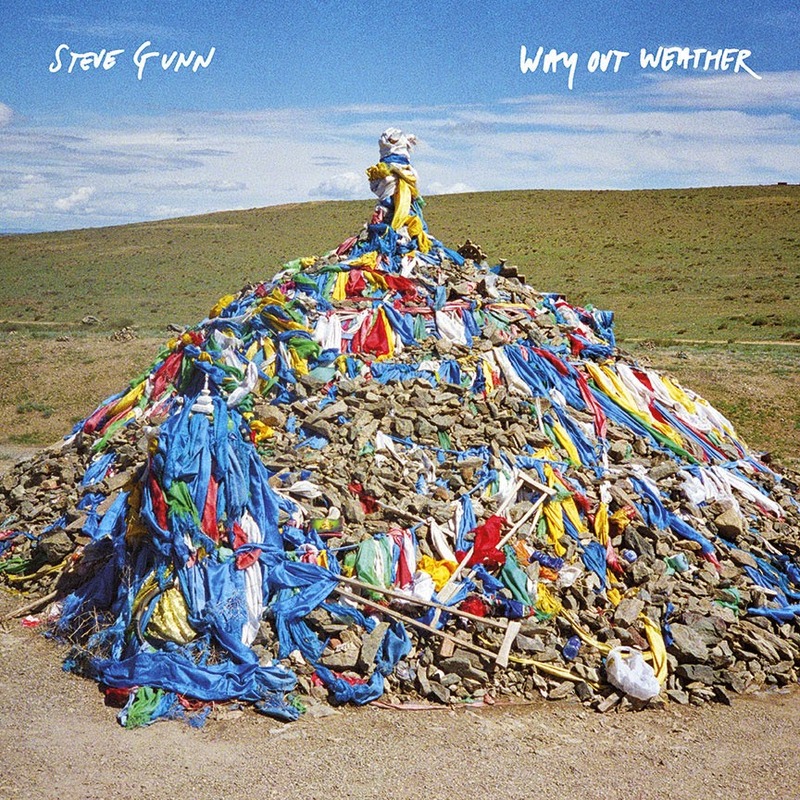 The music of Steve Gunn’s newest release Way Out Weather, is ebbing from my speakers like some hypnotic high tide, inching across my floor, enveloping the space in which I sit, and shifting my eyes to the windows, where the sun is setting behind the mountains, while extending its long orange fingers to caress my face and warm my heart … or is that Steve’s music [? ], songs played with precision and grace, songs that gently unfold, songs that are lush, slightly liquid, and as distant as the horizon, sweeping back memories of Perfect Prescription by Spacemen 3. Now, I don’t want you to go thinking that Gunn’s music is some sort of warm nostalgic reincarnation, floating in on the tail end of a summer breeze, barely disturbing a quiet forgotten desert street … but yes, these songs run do deep, lodged in forgotten places, from forgotten times, moving like dim car headlights through closed blinds, sliding across my ceiling, sparking dreams of intoxication, and calling, as if there’s something just out of sight that’s about to happen.